Here are some helpful tips and questions answered about bus stops and many are courtesy of the state website. ﻿Please note that being able to ride the school bus is a privilege and not a state requirement. Therefore, appropriate classroom behavior is required in order to keep bus privileges. 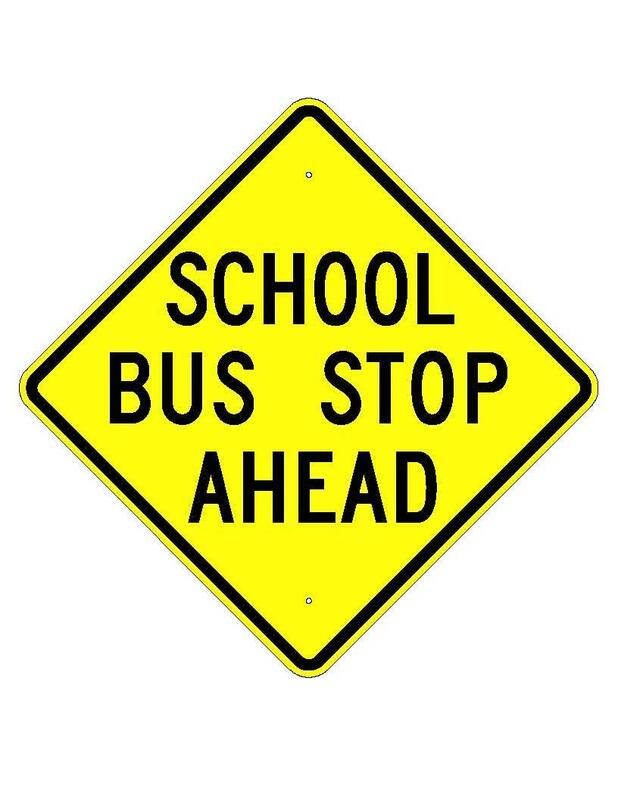 Bus stops are determined by the transportation manager and are the school board approved during start up of a new school year. However, it is important to understand that various factors, compliance, laws and regulations set by the Ohio Department Education goes into designating a bus stop. It is not as simple as just picking a corner on a street and asking you to be there. All AACS students are automatically in the system to receive transportation so long as they meet all criteria. However, if your child attends a charter school or non-public school, you will need to complete the "Request for Transportation" form as outlined in the Charter/Non-Public school section to the right. You may also contact our transportation manager at michael.gatrell@aacs.net to see if they are eligible prior to completing the form. How long does it take to get my student on a bus? Although we strive to get each student routed as quickly as possible, below are typical turn around times. Charter Schools / Non-Public Schools: Typically 48 to 72 hours. *Please note that students enrolled after initial school start up will take longer as this is a busy period for all departments. We moved and have a new home. How do I change the bus stop? The transportation department is not able to make changes based on individuals calling or stopping in. You must submit the required paper work to the school verifying change of address and then they will submit the information to transportation. What is the maximum time a student can be on the bus? There is no legal identified target number that districts are obligated to meet. A lot of time and effort goes into routing a buses path of travel. Multiple factors including but not limited to weather, trains, road construction, closed streets, and stop times can all add to the amount of time a student is on the bus. My child's but stop seems far. Why is this? We do everything possible to keep bus stops close to the students place of residence. However, in order to make sure buses are flowing on-time in the correct path of travel, it may be necessary to have the student walk. No bus stop is further than 1 1/2 mile which is the maximum walking distance set by the state. Why can't I have the bus stop in front of my house? This is referred to as "door-to-door" transport. AACS along with many of other districts try to stay clear of this as it creates a much higher safety risk every time the bus stops for the purpose of loading or unloading students. However, the students bus stop may require them to walk up to one-half mile to the bus stop as defined by the Ohio State Law ORC 3301-83-13 (B). ﻿I don't feel that my child's bus stop is safe. ﻿It is important to understand that several hours and half of the year when school is not in session goes into determining safe bus stops per the law. However, if you feel that a bus stop is not safe, please call transportation to discuss this matter with the transportation manager. Please note... Can't see the bus stop, to far to walk, have other kids, and so on are not reasons that make a bus stop unsafe. Are sidewalks required for my child to get to the bus stop? I want my child to wait in the house or car till the bus arrives. Why cant I do they do this? Ohio law requires children to be waiting at the bus stop in the drivers designated place of safety prior to its arrival. Bus drivers count the students at the bus stop before they load and as they get on the bus to ensure all children are safely on board. If students are not waiting at the bus stop the bus driver cannot count them and cannot be certain the students are all safely on board. Waiting at the bus stop before the bus arrives further ensures that no one chases after the bus – this is a very dangerous thing to do. Many districts also instruct their buses to not stop at locations where no students are waiting. If the student is not standing in the designated place of safety, the bus may not stop and/or the student will receive a bus conduct. My child has an IEP and I though that means there are special requirements? No. If your child has an IEP but the IEP team did not see special transportation as a need and did not list the special transportation in the students IEP, then the student will receive the same transportation as a regular education student. Please also note that there are several laws and factors that go into specialized transportation. In short, no law requires a parent to see the bus stop from home and in some cases it is not even possible due to various factors. Students in Ohio may be assigned to a bus stop up to one-half mile from their home and we encourage parents to accompany their child to the bus stop whenever possible. 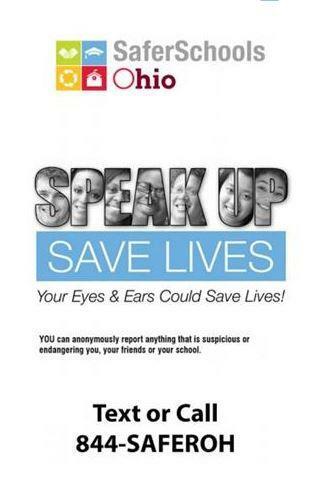 This teaches the child safe habits of walking to and from the bus stop and may give the parent piece of mind. If none of the above topics answered your question, please feel free to contact the transportation department.